I have sometimes pressed my finger down on a word written in a print book or on a piece of paper with the hope that a definition will appear. What's that from? And did you write a letter to the editor? Or is this like from the 80s? Hmm. I've heard of "Linux Magazine" (though maybe there is more than one magazine by that name, I don't know). I'm sorry to hear this... especially if they're disregarding your concerns based on sexist assumptions! I guess you could try a masculine-sounding anagram or something. :) That seems like jumping through too many hoops to get them to do what they should just be doing anyway. This is up to you of course! 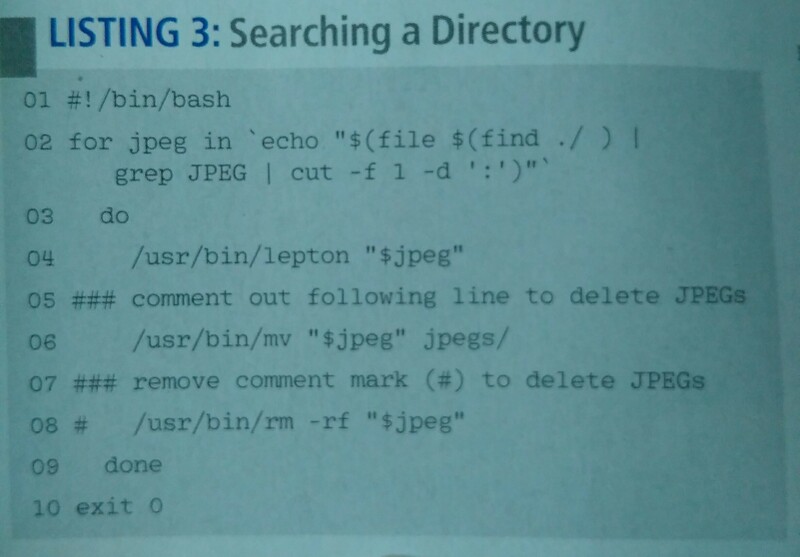 ...But in service of the general goal of getting people to not write shell scripts like that, perhaps self-answered questions about such code (or even that exact code with a citation?) would be useful. If it covers something we don't already have good questions and answers about here, then I would be interested in posting something like that. Without more info I'd say, who knows. People fail to address problems for many bad reasons, so in this case I can't really guess the reason. In general I do think sexism is a problem that skews the way ideas and criticisms are judged in tech today, though, so it doesn't seem like an unlikely possibility. Either way though, I suspect there's not much more that can be done to discourage such bad script examples if the editors won't even add warnings about word splitting, publish letters, or reply to readers' concerns in a way that makes the readers feel like they should keep reading and (I don't know the magazine's business model but) giving money to the magazine. ...And in that case, it hardly seems like they could know they're named in a way that doesn't cause problems, especially since this is a situation where they don't even have reasonable suffixes that can be relied on as indicators that they are JPEG images! Perhaps each JPEG file is named with an ASCII art representation of the image it contains.